The TOCO Shop located in Belleville, Illinois serves the St. Louis-area’s population by reselling and recycling wonderful clothing, household items and much more, raising thousands of dollars to help bring education and enrichment to the public regarding the health and welfare of families and children. TOCO Family Festival offers children and families an opportunity to learn about Outdoor Experience, Music, STEM, Art, and Spanish through interactive weekend-long, hands-on activities. Campers also enjoy over 25 diverse musical acts and a pool stage full of family fun! Join our community for this wonderful family weekend! Welcome to the home of the TOCO Shop and TOCO Family Festival! TOCO (Tapestry of Community Offerings) fulfills basic needs while encouraging our neighbors to develop a wider vision of the world, make a positive impact on the lives of others through service, and build a sustainable future. 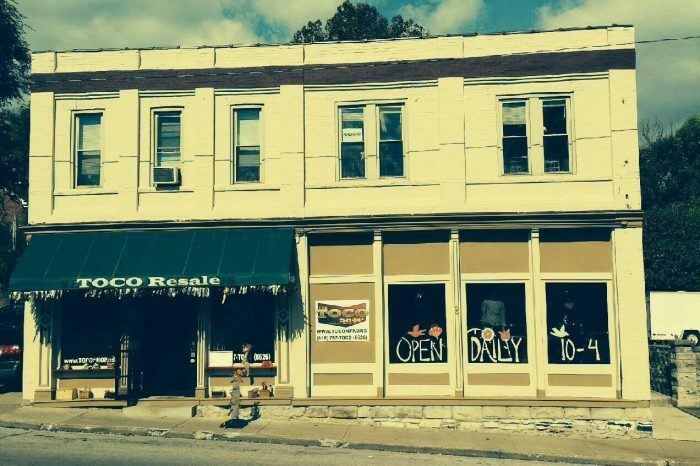 TOCO operates a shop and textile pantry which has served thousands of families over the past six years out of our headquarters at 825 West Main Street in Belleville, Illinois. Since 2010 TOCO has kept an estimated 1,187,000 pounds out of landfills from our recycling efforts! …or, go to our Volunteer Page to apply online!